BY NINE O'CLOCK on the morning of October 12, 1962, a brilliant Italian sun had broken out after a torrential rain. Twenty-four hundred Roman Catholic bishops began a lone procession through St. Peter’s Square toward the Basilica for the solemn opening of the Second Vatican Council. Inside the splendidly appointed church, the bishops took their places in long rows to take part in the ceremony. Near the altar sat observers from other Christian communities invited to attend the council. Pope John XXIII’s opening address had the character of a Magna Carta. He distanced himself from “prophets of doom” who could see nothing in the modern world but ruin. He invited the bishops to consider whether a new age might not be dawning for the church. Instead of condemning the ills of church and society, he called for a positive presentation of the Christian message based on a new appropriation of the Scriptures and tradition, and on a careful discernment of the needs and opportunities of the day. The basic content of the faith was one thing, he said; how it is presented is another, and the council was a great opportunity for a new, pastorally oriented exercise of the church’s teaching authority. Over two years had already gone into the preparation of the council, which John had announced on January 25, 1959. The most extensive consultation of the bishops in the history of the church had produced over nine thousand proposals for the agenda. On this basis, ten preparatory commissions had produced draft-documents for the bishops now to consider. Throughout this work, the prospect of the council had evoked widespread interest, not only among Catholics, but also among other Christians. The pope had regularly insisted that the council should work not only for the spiritual renewal of the Catholic Church and its adaptation to the contemporary world, but also toward the reunion of Christianity. The Council met in four sessions over the autumns between 1962 and 1965. The first session was by far the most dramatic and set the direction for the other three. It saw the assembled bishops elect the conciliar commissions, clearly opt for substantial liturgical reform—and, above all, refuse to be guided by the defensive attitude dominant in the doctrinal texts prepared by a preparatory theological commission controlled by “prophets of doom.” When the bishops rejected the draft text on the sources of revelation because of its academic, negative, and unecumenical character, people began to speak of epochal change: the end of the age of Constantine, the end of the Counter-Reformation. Pope John XXIII saw only the beginning of the council, but when he died, his successor, Paul VI, immediately announced his intention to continue it. The three sessions over which he presided saw the bishops produce sixteen documents, all passed with overwhelming majorities, in which the Catholic Church undertook its most searching self-examination ever. Structurally and in spirit, the council differed considerably from the two most recent ecumenical councils. The Council of Trent (1545) was convoked in the midst of the Reformation crisis and involved a small number of bishops, drawn almost exclusively from the Latin (European) Church. Vatican I (1869) also met with a sense of crisis, caused largely by the spread of a liberalism that was redefining the role of the church in the modern world, and it was rather strictly controlled in its mode of operations. Vatican II, however, was not called by John XXIII to respond to a particular crisis, but to renew the church in the light of the gospel and to reform it to meet the demands of the late twentieth century. It involved bishops from all over the globe, who were given freedom to set the agenda, choose structures, and write texts. The council’s text on the liturgy called for the thoroughgoing reform of the church’s worship. The text on divine revelation returned to the rich biblical springs of the church’s central message, proposed an ecumenically sensitive notion of tradition, and urged a greater biblical knowledge and awareness among the people. In external matters, the church stopped its foot-dragging and committed itself to the work of repairing the divisions of Christians. The council also made important progress in overcoming attitudes of anti- Semitism. Finally, the bishops addressed in two documents the challenges of the contemporary world. 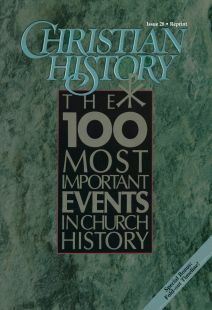 In the text on the church in the modern world, they discussed the opportunities and difficulties presented by modernity, with a confident belief that the message of Christ could welcome and redeem them, and provided particular proposals for the worlds of culture, politics, economics, and the family. In a brief text on religious freedom, the church stated that the inalienable rights of conscience must govern relationships between church and state, thus going beyond the nostalgia for earlier political arrangements that had dominated Catholic thought until the very recent past. The conciliar texts in general reflect Pope John’s initial orientations. Theologically, they endeavored to recover the broad tradition that the struggles of the last four centuries had obscured. Pastorally they replaced suspicion and condemnation of the modern world with openness and dialogue. Ecumenically, they insisted on the centrality of the biblical Word and the communion in faith and grace already existing among Christians. There is scarcely an element in the Catholic Church’s internal life or in its relationship with others that has been unaffected by the Second Vatican Council. p>Internally, all of the rites have been reformed and are now celebrated in vernacular languages; a far greater access to the Scriptures is common among Catholics; lay people now exercise many more ministries and have more opportunities for participation; a spirit of collegiality now affects every level of church activity; local churches have assumed responsibility for their own life and mission. Externally, dialogue has replaced suspicion in relations with other Christian communities, with other religions, and with the world itself. The Catholic Church sees itself much more as a partner in the common task of creating a more human world. Dr. Joseph A. Komonchak is professor of theology in the Department of Religion and Religious Education, The Catholic University of America, Washington, D.C.
Key dates in the life of Count Nicolaus von Zinzendorf.